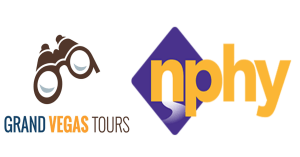 LAS VEGAS – Grand Vegas Tours, the premier Las Vegas-based luxury tour company, is excited to announce its partnership with Nevada Partnership for Homeless Youth(NPHY)in commemoration of World Kindness Day – Tues., Nov. 13. Starting today as a means to help support a framework of positive role models and encourage young adults to build a path to self-sufficiency, Grand Vegas Tours will donate a percentage of its guest ticket purchases to the youth service provider on an ongoing basis. NPHY offers a wide-range of services crafted to meet homeless youths’ needs. Its programs include outreach, mobile crisis intervention, a drop-in center, emergency shelter, family reunification services, and housing programs for unaccompanied homeless youth ages 12-21 years old. The organizations main Drop-In Center, which is only one of 10 properties run by NPHY, acts as the hub of all of the operations offering free and confidential services such as shelter placement,housing placement, assistance getting ID’s and birth certificates, transportation to be reunified with family, hot meals, clothing, life skills classes, hygiene items, bus passes, employment assistance, and so many more life-saving resources for youth. The Drop-In Center, located near UNLV is open Monday-Saturday 8:00 a.m.-7:00 p.m. and their services are accessible24 hours a day through the mobile crisis intervention programs, Safe Place. “We are excited to partner with Grand Vegas Tours. This partnership not only will help raise funds for NPHY’s life-saving services for homeless youth, but it will also help bring awareness to this growing crisis we are facing here in Southern Nevada. We need more individuals, civic groups, and companies helping us beat the drum and raise awareness around the community- this is a great way to lead through to action,” said Arash Ghafoori, executive director at NPHY. To learn more about how you can book a tour with Grand Vegas Tours, visit www.grandvegastours.com. To find out more on volunteerism, how to make a donation, or to learn more about helping further NPHY’s work, visit www.nphy.org. At Grand Vegas Tours, we provide you with exciting Hoover Dam and Grand Canyon tours so that you can experience the natural beauty and history that the Southwest has to offer. Grand Vegas Tours is the premier Las Vegas-based luxury tour company with service to the South and West Rim of the Grand Canyon, Hoover Dam, and exclusive boat tours of Lake Mead. Are you ready to schedule your excursion? Call us at 1-888-866-4135 or message us online at www.grandvegastours.comto inquire further about available tours. Follow us on Facebook, Instagram, or Twitter.